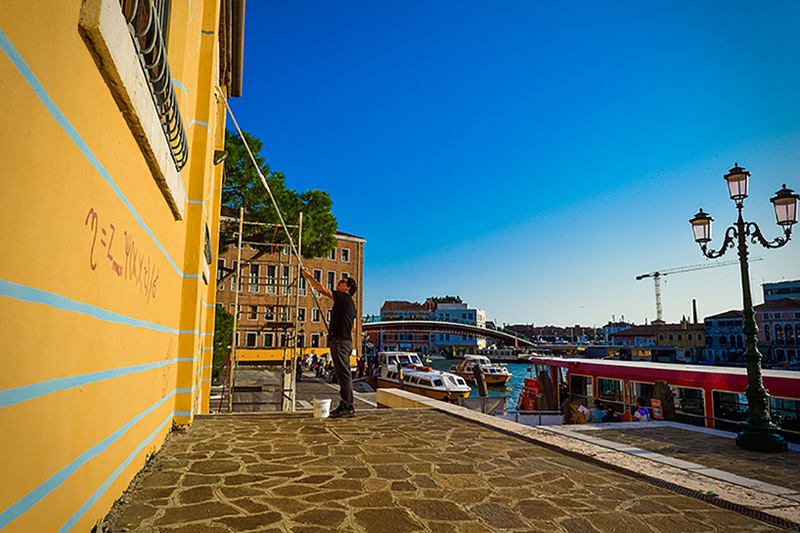 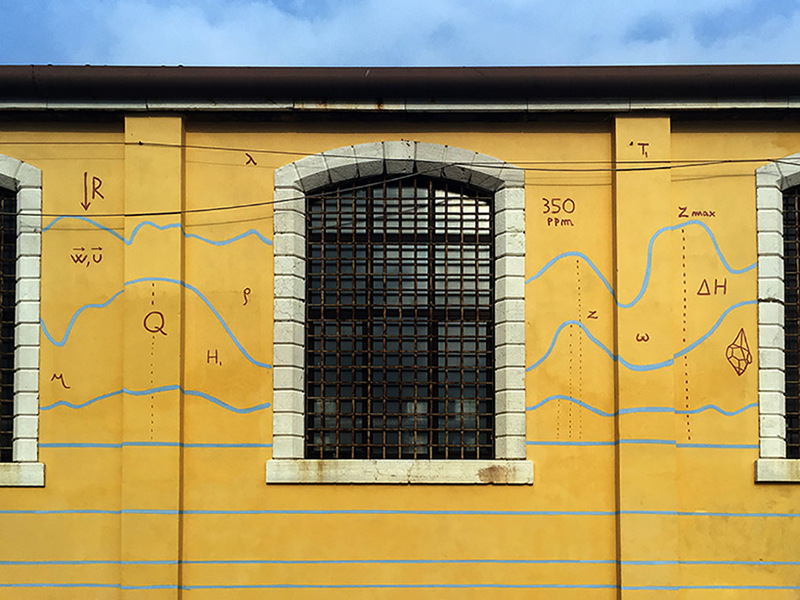 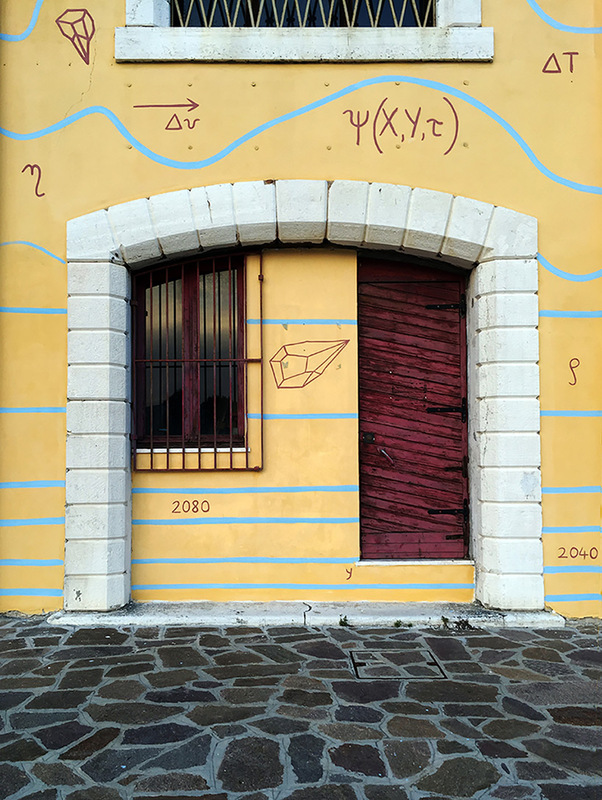 andreco completes the fourth part in his series titled ‘climate.’ this installation, on the exterior wall of the fondamenta santa lucia facing piazzale roma, the main entrance and pedestrian thoroughfare into the historic city of venice. 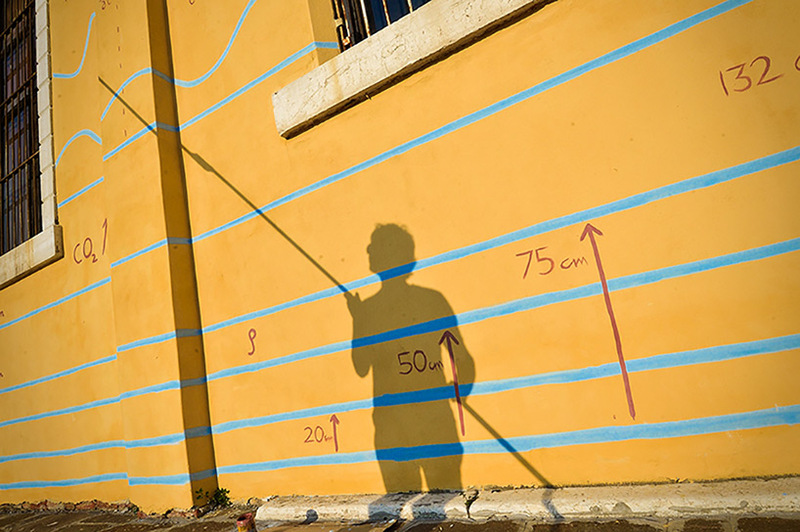 visible from the calatrava bridge that straddles the grand canal, this mural brings to light the effects of changes in the global climate and venice’s rising water levels. 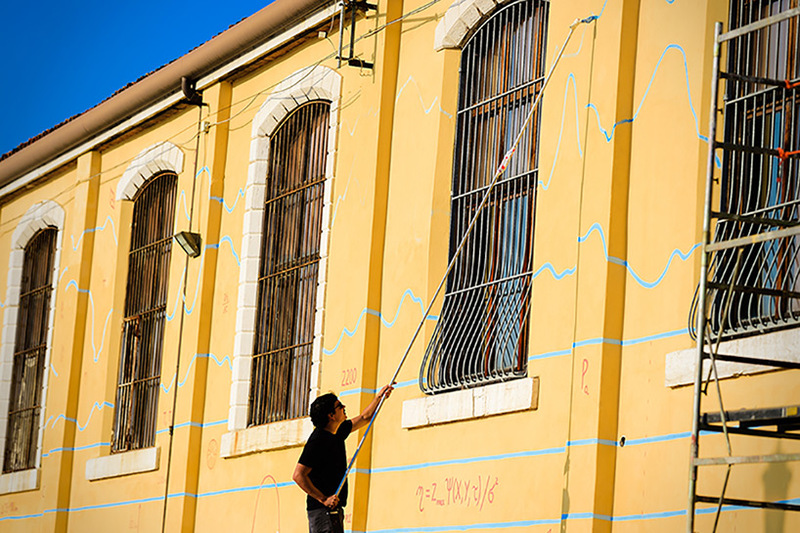 the ‘climate’ series is a culmination of social interventions in different european cities, which began in november 2015 during cop 21, the UN’s conference to discuss climate change. 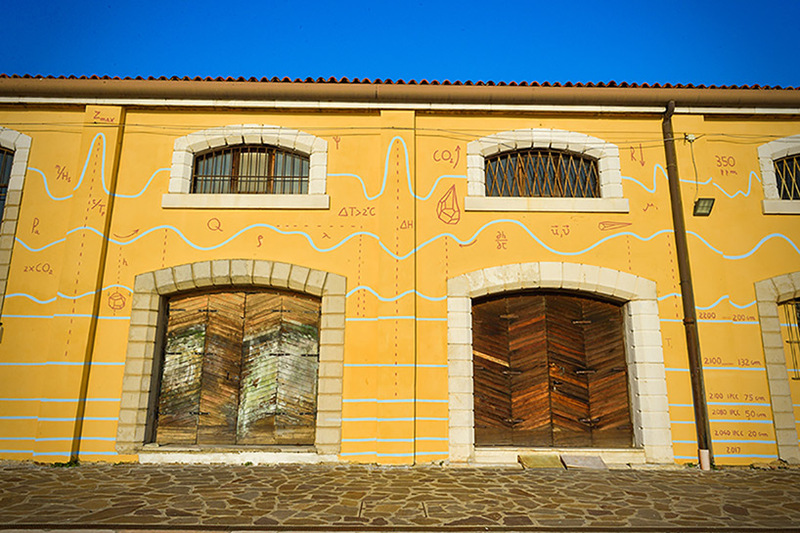 other installations from this series exist in bologna and bari, before arriving in venice. 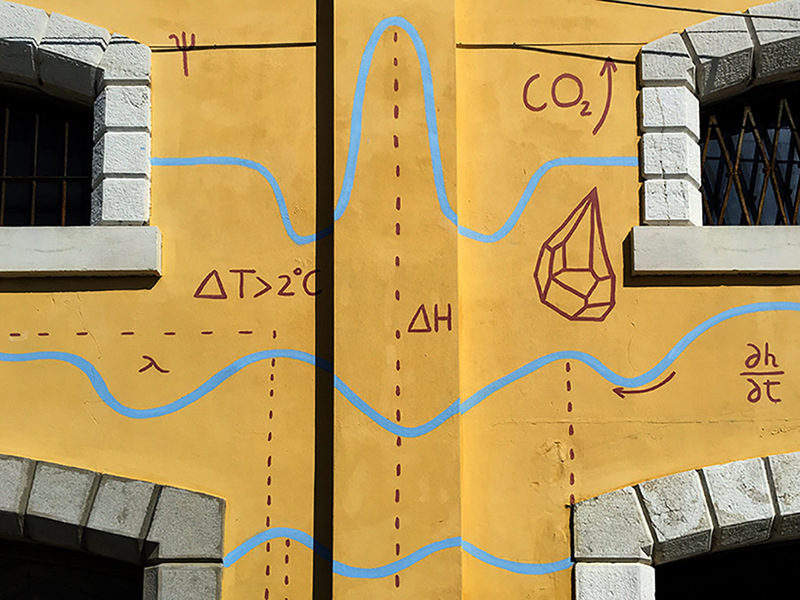 andreco’s installation creates an intimate connection between science and art — a dialogue inspired by the latest scientific research on the effects of climate change. 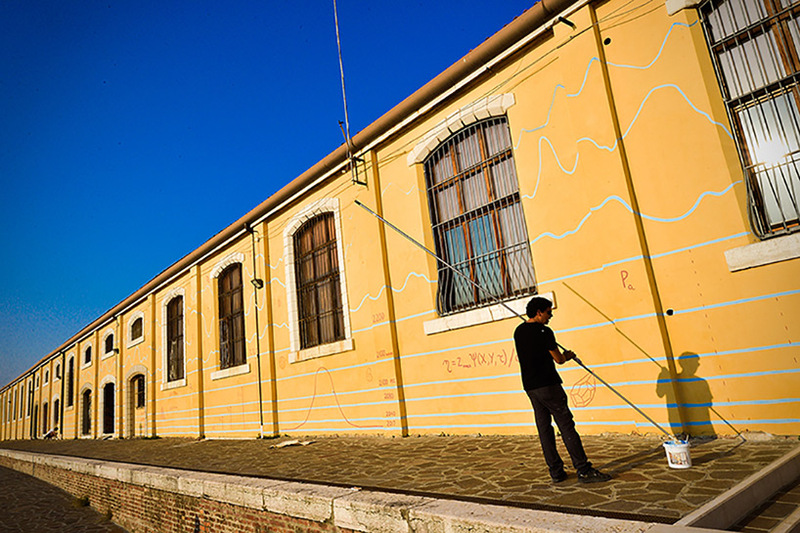 in bari, the main theme of the artwork was the accelerating desertification caused by the rising temperatures, while in venice the artist’s focus is the rising sea level. 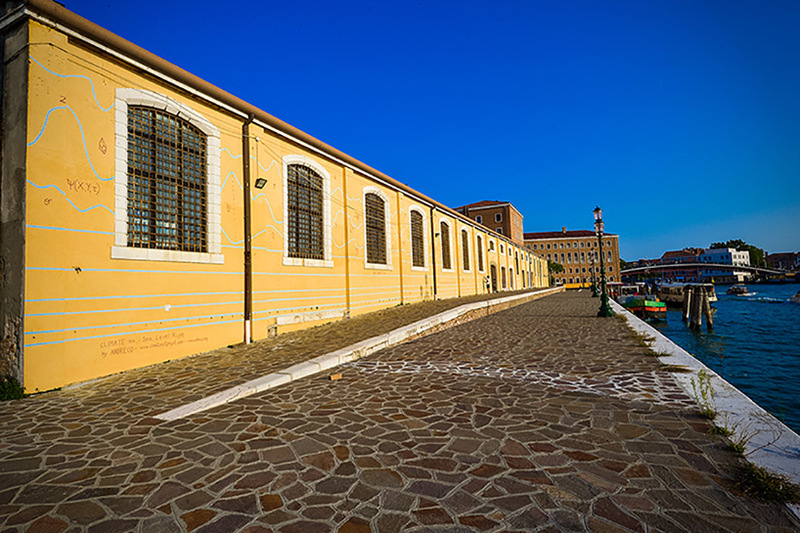 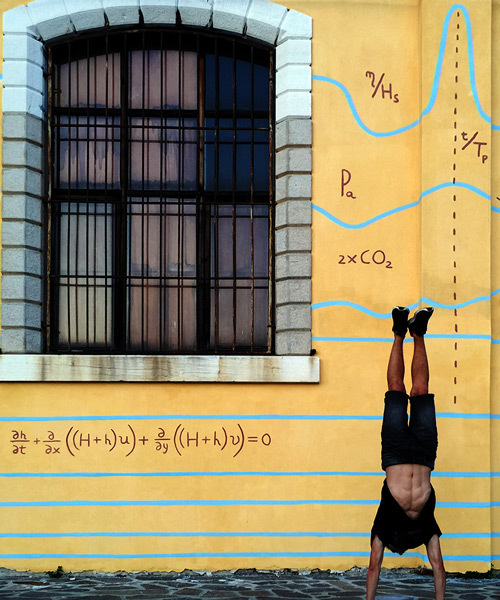 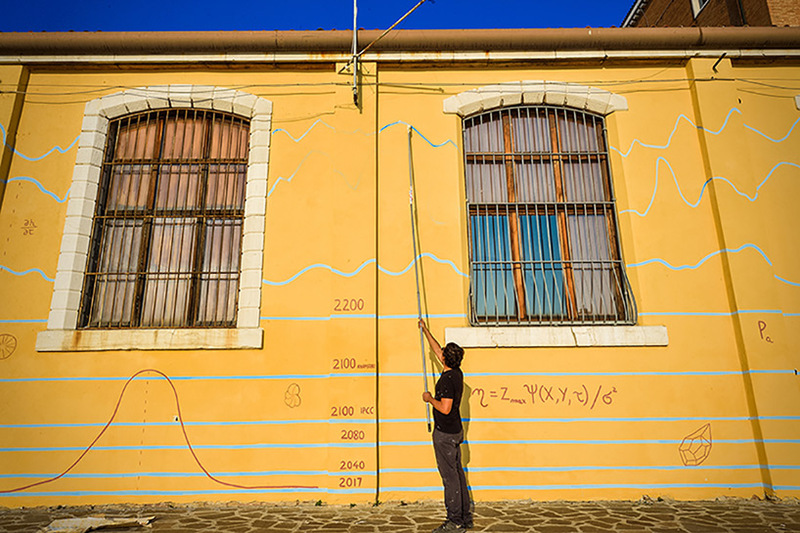 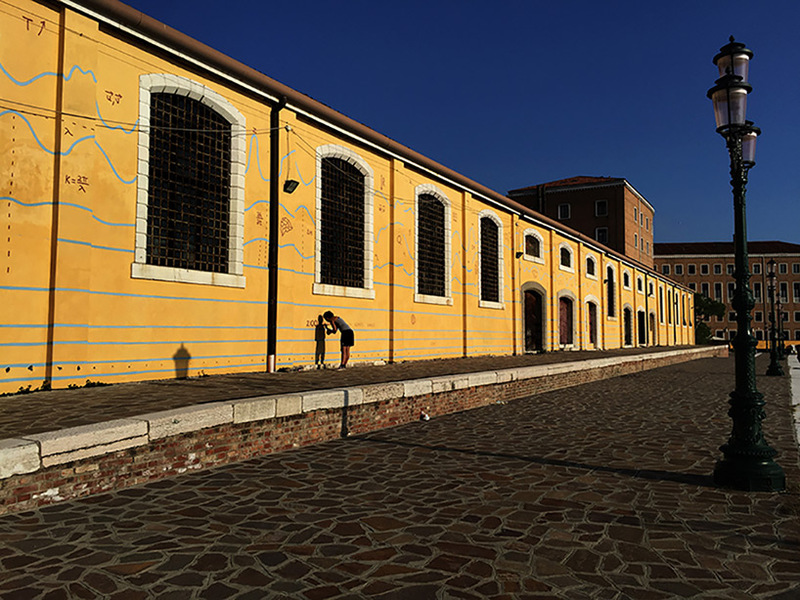 the project includes three different interventions, specifically conceived and developed for the city of venice: a big wall painting, a talk which will analyze climate change under a scientific and artistic point of view, and an academic conference featuring international scientists and their research on climate change.